My name is Brandon Lynch and I am a junior with a Digital Media Production. Besides KULT I am also a member of Sigma Phi Epsilon-IA Theta on campus. I think KULT has the opportunity to provide people a with interesting, relevant content that can have a daily impact on their lives. It can be a source for students to learn more about the world of news and sports, as well as a place to find all different types of music. 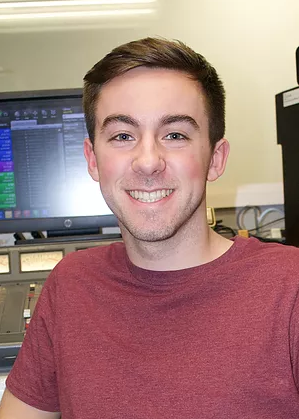 Radio is something unique in and of itself, and when it’s combined with the influence of college students, there are almost no limits on what can be created. After graduation, I plan to dive head-first into the entertainment industry, and work in either music or film. I’m Madison and I’m a junior studying IDS- Digital Advertising and Digital Imaging with a minor in Graphic Technologies. I’m also an executive member of the UNI Grafx Club. I think our radio station brings the UNI community together, whether it is through our DJ’d events or our live stream. KULT has something for everyone to enjoy. I plan to work in Social Media Marketing after graduation. My name is Mili and I am a sophomore majoring in Interactive Digital Studies with minors in Public Relations and Theater. Besides KULT, I’ve also been apart of Camp Adventure, Uprising, Alpha Xi Delta and more. The main reason why I got involved with KULT radio was because I truly believe in this stations ability to reach fellow students and give them something they want and need to hear. In the future I wish to travel working for some sort of non-profit organization helping them with media based advertising. My name is Blair and my pronouns are they/them/theirs. I’m a junior, Digital Media Journalism major with a minor in Sexuality, Women, and Gender Studies! 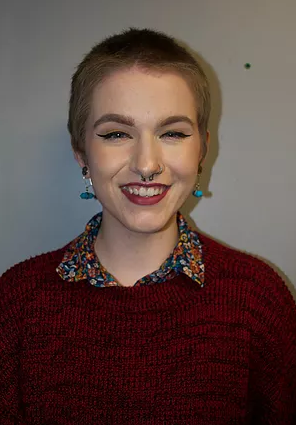 I’m a Resident Assistant for ROTH and I’m also the Event Coordinator for Gender and Sexuality Services! Something I think makes KULT unique is that is all run by students for students to learn and grow through experience of broadcasting. 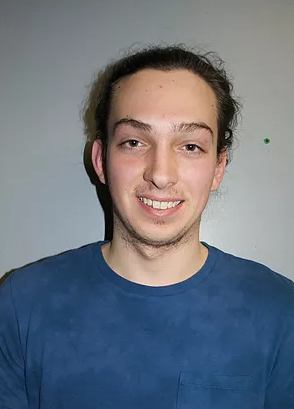 Hey, I’m Brandon and I am a junior and I am a digital media major with an emphasis on journalism. On campus I am involved with Chi Alpha, intramural sports, and filming the different sporting events here at UNI. 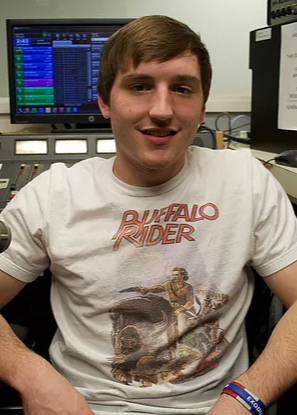 I am a transfer student from William Penn University where I played football and really got started with doing radio. I think KULT is different because I feel it allows students to express themselves. We are free to talk about what we’re passionate about without hesitation. After I graduate I want to work in the sports media industry. I would love to continue doing a sports talking show whether that is locally or whether I make it big, this is what I want to do. I’m Schuyler and I am currently a sophomore studying chemistry. Along with KULT, I am involved in Colleges Against Cancer, the Salt Company, and Student Nature Society. 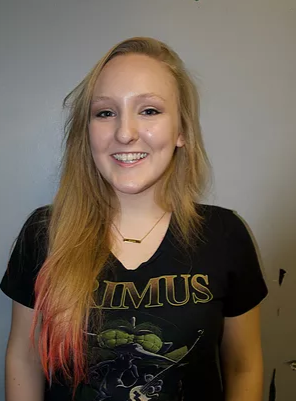 I joined KULT because I love music and radio and think college radio is a great way for a student to learn about the industry and develop skills both in radio and in creativity. KULT is different because we have so many different personalities and ideas on air every day making the station colorful.